Have you ever started something and thought–“why am I doing this?” I mean, how did I get here? What lead me to agree to, listen to, participate in this? Is this what I’m supposed to be doing? It’s boring. Hard. Frustrating. Draining. Sure–we’ve all had our fair share of moments when we find ourselves doing something–be it career related, family related, home related, self-improvement related–that we would rather not be doing. Whether in the moment or reflecting back, these moments–the ones we don’t necessarily like and aren’t so proud they’re apart of us–are such meaningful pieces to the story our life is writing. It’s just as it is in your favorite book or movie. There’s this climax and you know that it’s so important to the overall message, but sometimes it’s still kind of painful to watch or read. However, you are so committed to knowing how this affects the characters and the plot, you plow through, sometimes not even getting the full scope of the difficulty, struggle or pain. But in the end, you do recall how you got there. Every ounce of difficulty, struggle and painful moment. Today’s a new day. This moment is more new than the one that just passed. Whatever you are doing, wherever you are in this very moment–take a few seconds to breathe that in. Be present. Think about the effects to your story this very moment is having. And if you have a desired end to your story, then make sure your plot has the proper twists and turns to get you to that end. After all, we only have one story. One life. One message. 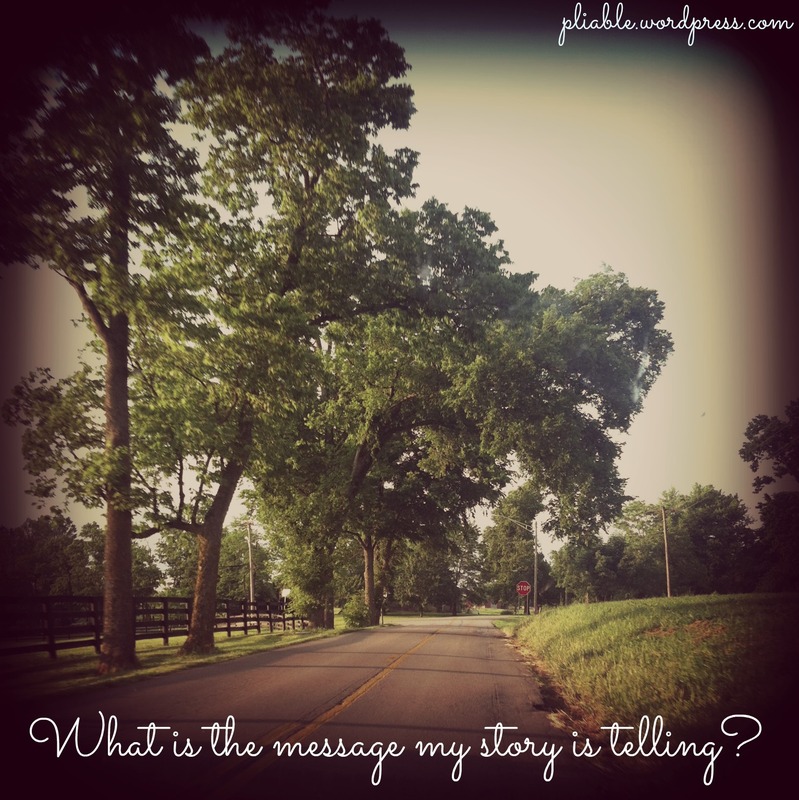 What is the message your story is telling?